If you’re experiencing irregularity in your menstruation or symptoms often associated with menopause such as hot flashes, you may have started perimenopause -- the transition to menopause. 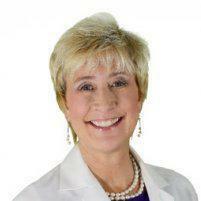 Dr. Pamela Gaudry, MD, NCMP, FACOG, at the Georgia Center for Menopausal Medicine is an OB/GYN that’s dedicated to helping women better understand this period of their life. She offers both education and treatment for perimenopause at her office in Savannah, Georgia. To learn more, call the office or book an appointment online. Perimenopause marks your transition into menopause. During perimenopause, your hormone levels rise and fall, causing changes to your menstrual cycle, which might shorten or lengthen. Perimenopause ends when you go 12 consecutive months without your period, signaling that you’ve clinically reached menopause. Perimenopause starts at different times for women. Most women start the transition in their 40s; however, some women may begin perimenopause while still in their 30s. You may also experience a change in your cycle, which is often the tell-tale sign that you’re going through the transition. During perimenopause, your cycle may become erratic, causing a heavier than normal flow or the passage of large blood clots. Your change in menstruation may also lead to increased cramping and worsening of your premenstrual symptoms. Your decreasing estrogen levels cause the symptoms related to perimenopause. Dr. Pam also offers a minimally invasive laser treatment with the MonaLisa Touch® to improve vaginal health and reduce symptoms through the stimulation of collagen production, a structural protein that gives your vaginal skin its resilience. The treatment helps your body rejuvenate vaginal tissue to reduce dryness. If you’re having a difficult time managing your transition to menopause, call the office or book an appointment online.